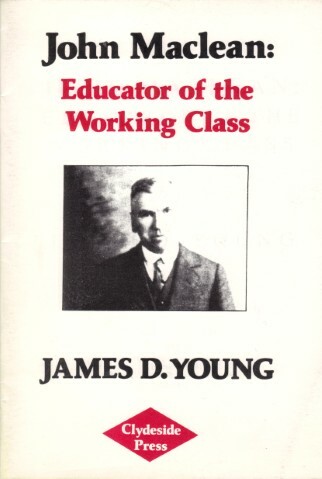 James Young – Jimmy to his friends – was a lifelong socialist. He finally embraced Scottish independence and Scottish republicanism with his amazing research discoveries in his book The Rousing of the Scottish Working Class and as chair of the John MacLean Society, where he came into direct contact with his comrades of the Scottish Republican Socialist Movement. The whole of the British and unionist Left were of the opinion that John MacLean was “mad” when he came out for a Scottish Workers Republic. Jimmy’s own research found the opposite as part of the many cover-ups. Sir Basil Thomson, head of security in Scotland at the time, instructed British intelligence two years earlier that MacLean and Sylvia Pankhurst, who supported MacLean, were mad and ordered the forces that were watching him round-the-clock to declare that he was “paranoid”. This was backed up by Peter Berresford Ellis, Jim Clayson and other researchers perusing the records. Despite this now being well in the public domain, some unionists, including the British Left, still persist in spreading this rumour. English Labour historians EP Thompson, Eric Hobsbawm and Christopher Hill all wrote histories of the British working class and emphasised that there was a need for such a history of the Scottish working class. Jimmy boldly filled that need, the first since Tom Johnston’s History of the Scottish Working Classes. Jimmy updated his book The Rousing of the Scottish Working Class in 2011, with two extra chapters containing new information on John MacLean and the 1820 Rising. In it, Jimmy explains how writing the first edition led him towards Scottish Republican Socialism. The front cover, illustrated by Alasdair Gray, Scottish Republican Socialist, artist and novelist, depicts a Highlander in 18th-century dress and a 19th-century sporran. Among his many works are The Very Bastards of Creation, quoting an English parliamentarian’s racist description of the Scots. In it, Jimmy attacks the British Left, who he says are guilty of similar attitudes. His CLR James, about a black Jamaican Trotskyist, also blasts the British Left for its attitudes. His biography and polemic on John MacLean expresses similar views. His Two Falkirks expresses his love of his working class “bairns” of that town – notably the shift from supporting their local football team to supporting a Celtic and Rangers shop in the high street. As well as deploring fascism and racism, he hated sectarianism as a dividing force and false consciousness for his beloved Scottish working class. His own biography, Making Trouble, is aptly named. Jimmy left school at 14 years of age before working as a labourer in a sawmill, then as a railway worker, before going to Newbattle Abbey College, Dalkeith, under Edwin Muir. He then went to Ruskin College, Oxford, studying English literature and working-class history under GDH Cole. His last work is a study of how Irish republican James Connolly learned his socialism in Scotland. Unfortunately, Jim, being a bit of a technophobe, sent a corrupted disc to Clydeside Press, which is attempting to have the text recovered for publication. That is Jimmy to the last: still “making trouble”. Long may his legacy continue to do so. Jimmy Young had a particular interest in Irish labour history and shortly before he died had completed a study of James Connolly which will be published posthumously by Clydeside Press. It will be entitled ‘James Connolly (1868-1916): The Critical Biography of a Rebel Irishman’. Jimmy had numerous articles on Irish labour history published in a range of publications including The Irish Post and Saothar the journal of the Irish Labour History Society. Here is a list of some of his Irish related articles. The following motion in response to the death of Jimmy was lodged in the Scottish Parliament by the socialist SNP MSP Bill Kidd . That the Parliament expresses its sadness at the death of Dr James D Young, considered one of Scotland’s greatest, most prolific historians; understands that Dr Young, who lived in Polmont, was both an esteemed Scottish labour historian as well as a highly-regarded republican socialist; notes that he left school at the age of 14 to work as a labourer and later became a railway worker; understands that he went on to study at the University of Oxford, was awarded a PhD by the University of Strathclyde and became a reader in history at the University of Stirling; recognises what it considers to have been his vast contributions to the study of Scottish history; notes that he wrote a number of works about history that are considered to be essential, including what is regarded as his famous 1979 publication, The Rousing of the Scottish Working Class; understands that he had a long-term commitment to the Scottish republican socialist movement and Scottish independence; appreciates the historical significance of his passing on 24 June 2012, the anniversary of the Battle of Bannockburn, and offers its deepest condolences to Dr Young’s wife, Lorna, and her family on their loss.